The Salvador Dali biography conveys an enigmatic career. Born into an affluent family in Figueres Spain, Salvador Dali attended the San Fernando Academy of Fine Arts in Madrid and purportedly another art school in Barcelona. Technically adapt, Mr. Dali’s artistic elan covered a variety of artistic styles: Impressionism, Surrealism and Renaissance. Some art critics theorize that Dali’s varied style resonates with his evolution as an artist. “The Basket of Bread,” “Persistence of Memory” and “The Hallucinogenic Toreador” represent three of Salvador Dali’s internationally acclaimed masterpieces. After dabbling in surrealism and prior to Dali’s expulsion from the Surrealist movement, the chameleon style artist transitioned into painting Renaissance influenced work, exuding an academic style. It was then that Dali and his wife, Gala vacated Europe during World War II and spent eight momentous years in the United States. In 1942, Salvador Dali released an autobiography, titled “The Secret Life of Salvador Dali.” The publication appeared to be a follow up to Dali’s most pivotal exhibit at the New York Museum of Modern Art (MoMA) in 1941. The Salvador Dali biography also illustrates that the artist segued into being more of a designer in the latter part of his career. From transforming the interior of fashion boutiques, being a set designer for theatre to creating jewelry, Dali’s career was a rich one filled with a myriad of contributions. 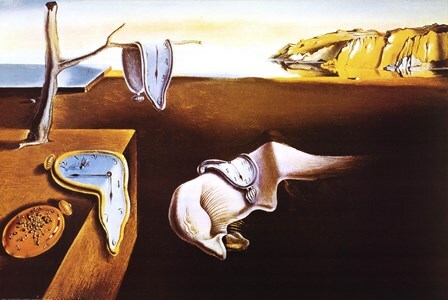 Please click Salvador Dali paintings to peruse the artist’s paintings. (Upon researching Salvador Dali’s biography, identical content was found on the Encyclopedia Britannia.com and at History.com).